When Greta Balzer’s parents moved to Ward in the late 60s, it had a robust, well-known arts scene. While the town still harbors a population with abundant artistic talents, it has become hidden to outsiders in recent years. 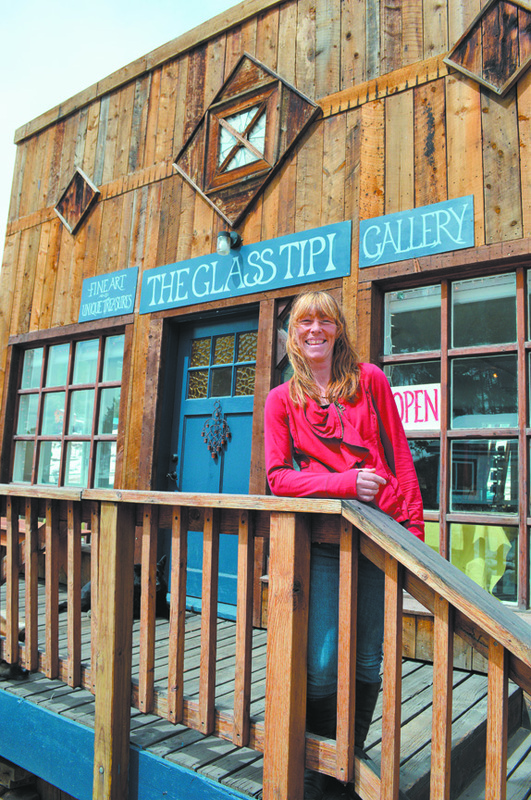 Balzer, an oil painter herself, hopes her new Glass Tipi Gallery will revive Ward’s arts scene and bring more attention to the creative people who live in the small town, and throughout Colorado. The building housing the gallery was purchased by Balzer two and half years ago and was rebuilt by her from the bottom up over a two-year period. “I’ve done a ton of work,” she said. The main floor, now completely open, was five separate rooms and the roof trusses had to be replaced because they were burned from a previous fire. 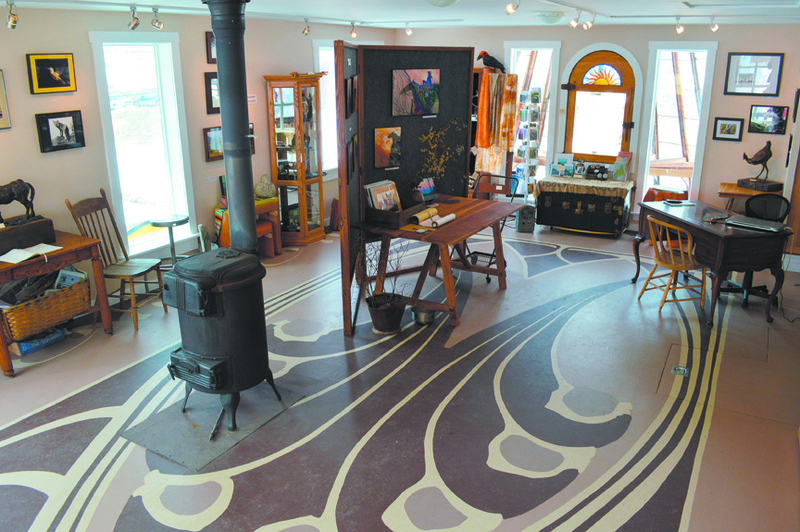 The building, has been a residence, mechanics shop and even an artist’s co-op in the past. The gallery owner has been interested in art from a young age having grown up with a mother, Carol Jenkins, who’s been a prolific oil painter for more than 30 years and a father, Tom Balzer, who was a photographer for much of his life. Both still live and create in Ward, which has been life-long inspiration to Balzer and her artistic endeavors. “My mom has been a great in-house teacher, and she’s been really wonderful helping with this gallery,” she said. Some artists showing at the gallery include bronze sculpture by Emma Hardy, oil paintings by Jenkins and Balzer, jewelry by Cheryl B. Goodnow, Heidi Kummli and Eli Roehl, wood furniture by RC Wittenbaugh, photography by Kathy Banich and Karelle Scharff and unique items by Nona Ruth, Joanne Cole and the head of the Chinese Paper-Cutting Institute. “It’s all local, and something from very far away,” the owner said. The Glass Tipi is located at 55 Utica St. in Ward. It is open 10 a.m.-4 p.m. on weekends with additional days in the summer. Visit theglasstipigallery.com or call 720-235-2062 to learn more. Tags: Carol Jenkins, Cheryl B. Goodnow, Eli Roehl, Glass Tipi Gallery, Greta Balzer, Heidi Kummli, Karelle Scharff, Kathy Banich, RC Wittenbaugh, Ward. Bookmark the permalink.